There are currently a number of couples who are worried that their divorces won’t be finalized before the end of the year, and therefore, they may not be able to take advantage of the alimony tax deduction, which disappears as of January 1, 2019 via the Tax Cuts and Jobs Act. However, even if you aren’t able to get your divorce finalized ASAP and get that deduction, there are some steps you can take to still save on taxes while going through divorce, as we discuss below. One option you have is to have a heart-to-heart discussion with your divorce attorney on what is most important to you in an effort to settle quickly—i.e. before the deduction disappears. The more planning you do, the more effective you can be in your negotiations, while also saving time. Also keep in mind that you can also modify your agreement in the future in an effort to maintain current tax benefits—another incentive to come to a written agreement before January 1, 2019. Your attorney can help you figure out what must absolutely get done now in an effort to get your agreement through the courts so that you retain your deductibility. 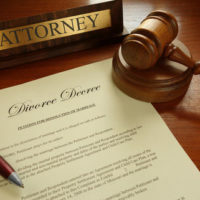 However, your attorney should also make it clear to you that while the alimony deduction is important, it is not important enough to sign a bad deal. Remember that your proposed settlement is going to have long-term implications for your life, and, first and foremost you have to ensure that you have enough assets and income to help keep you on track with your specific goals. Also keep in mind that there are strategic alternatives via structuring the property settlement tax efficiently. For example, if the spouse in the higher income bracket retains taxable assets with a high basis (bonds, cash, stock in joint names), and transfers retirement accounts (401ks, IRAs, etc.) to the lower income spouse, this allows for the couple to regain some of the tax benefits associated with losing the alimony deduction. There is no one-size-fits-all when it comes to divorce agreements. It is imperative that you sit down with an attorney who understands your specific circumstances in order to come up with an agreement that is in your best interests, whether that is now, or in the future. Contact our West Palm Beach divorce attorneys at the office of William Wallshein, P.A. today to help get you through the process. We’ve helped countless clients over the years move forward with their divorce and with hope in their future.